Vision Times is an independent Chinese media group that arose as one of the top 10 most visited Chinese websites in the world after it was first launched in 2001. Backed by over 12-years track record serving the Australian-Chinese community, we are highly regarded as an informative and trustworthy publication featuring unbiased coverage, insightful stories and high quality layout. We offer Australia’s most comprehensive Chinese platforms including printed news (Sydney Chinese newspaper, Melbourne Chinese newspaper, Brisbane Chinese newspaper, Gold Coast Chinese newspaper and Perth Chinese newspaper), bilingual magazine, websites, Wechat, Facebook, Instragram and eDM. With 160 vibrant editorials, we are Australia’s most influential and widely distributed Chinese weekly newspapers with over 120,000 readers nationwide. Vision Times is now distributed in 22 cities in 17 different countries and regions across the globe, including Australia, New Zealand, USA, Canada, Europe, Hong Kong, Japan, Korea, and Peru. 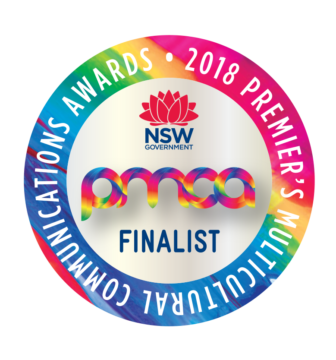 In 2018, Vision China Times were proud finalists of the NSW Premier’s Multicultural Communications Awards. Vision Times Media endeavours to deliver the most insightful news, current affairs and community updates to over 120,000 Chinese living in Sydney, Brisbane, Gold Coast, Melbourne and Perth. To be a Chinese language media that can serve the Australian society by truly connecting the Chinese community with the Western mainstream through balanced reporting, promotion of both Australian and Chinese traditional cultures and values, and communicating the policies and views of the Australian government to the Chinese community in an unbiased way. A quarterly monthly magazine including features, people, events and festivals, food and health, travel, entertainment and inspirational articles. Vision Times recognize the value of community involvement and are committed to playing our part in minimizing the cultural/communication gap between the Chinese and Australian community. We are proud sponsors of local events including Sydney Royal Easter Show, Ku-ring-gai Festival on Green, Ashfield Carnival, Ryde Granny Smith Festival, Willoughby Council Emerge Festival, Burwood Festival, Georges River Council Australia Day & Lunar New Year, Fairfield Council Cabramatta Moon Festival & Lunar New Year. We are also the only Chinese publication that ran a special series of coverage on the 2011 NSW State Election, the 2012 NSW local council election,the 2012 VIC local council election, and the 2013 and 2016 Federal elections.